$23.40 Ships within 24 hours. Possible Uses of Nizonide: This medication is used to treat diarrhea due to certain intestinal parasitic infections (i.e., Cryptosporidium parvum and Giardia lamblia). Before using Nizonide: Before taking nitazoxanide, tell your doctor or pharmacist if you are allergic to it or if you have any other allergies. This product may contain inactive ingredients, which can cause allergic reactions or other problems. Talk to your pharmacist for more details. 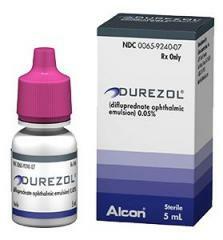 How to take Nizonide: Take this medication by mouth every 12 hours for 3 days with food, or as directed by your doctor. Children less than 11 years of age should not take these tablets. Instead, they should take nitazoxanide suspension. Antibiotics work best when the amount of medicine in your body is kept at a constant level. Therefore, take this drug at evenly spaced intervals. 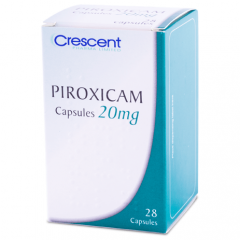 Continue to take this medication until the full-prescribed amount is finished even if symptoms disappear after a few doses. Stopping this medication too early may allow the parasites to continue to grow, which may result in a relapse of the infection. Inform your doctor if your condition worsens or does not improve. 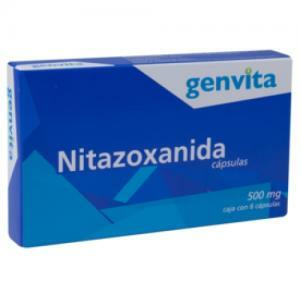 Precautions When Using Nizonide: Before using this medication, tell the doctor or pharmacist your medical history, especially of: liver disease, kidney disease, weak immune system (e.g., HIV infection). Do not take over-the-counter medications to treat diarrhea without first checking with your doctor or pharmacist. Tell your doctor if you are pregnant before using this medication. It is not known whether this medication passes into breast milk. Consult your doctor before breast-feeding. Side Effects of Nizonide: This medication is generally well tolerated when taken as directed. A very serious allergic reaction to this drug is unlikely, but seek immediate medical attention if it occurs. Symptoms of a serious allergic reaction may include: rash, itching/swelling (especially of the face/tongue/throat), severe dizziness, trouble breathing. This is not a complete list of possible side effects. If you notice other effects not listed above, contact the doctor or pharmacist. Drug Interactions of Nizonide: Your healthcare professionals (e.g., doctor or pharmacist) may already be aware of any possible drug interactions and may be monitoring you for it. Do not start, stop or change the dosage of any medicine before checking with them first. Before using this medication, tell the doctor or pharmacist of all prescription and nonprescription products you may use. Keep a list of all your medications with you, and share the list with your doctor and pharmacist. Missed dose of Nizonide: If you miss a dose, use it as soon as you remember. If it is near the time of the next dose, skip the missed dose and resume your usual dosing schedule. Do not double the dose to catch up. Overdose of Nizonide: If overdose is suspected, contact a poison control center or emergency room immediately. Storage of Nizonide: Store at room temperature at 77 degrees F (25 degrees C) away from light and moisture. Brief storage between 59-86 degrees F (15-30 degrees C) is permitted. Do not store in the bathroom. Keep all medicines away from children and pets. Other Information of Nizonide: DO NOT SHARE THIS MEDICINE with others for whom it was not prescribed. DO NOT USE THIS MEDICINE for other health conditions. KEEP THIS MEDICINE out of the reach of children. IF USING THIS MEDICINE FOR AN EXTENDED PERIOD OF TIME, obtain refills before your supply runs out.